When nausea reaches its peak, many of us end up fighting the urge to throw up. Vomiting happens, and for many reasons, but is something we’d all prefer to avoid (especially in public). What are the symptoms of vomiting? How can I avoid vomiting? Try to hold off on eating if you are already feeling nauseated. If you do eat, avoid engaging in physical activity immediately afterwards. Before travelling, arrange to sit somewhere that has less motion, like the near the wing of a plane or in the front seat of the car. 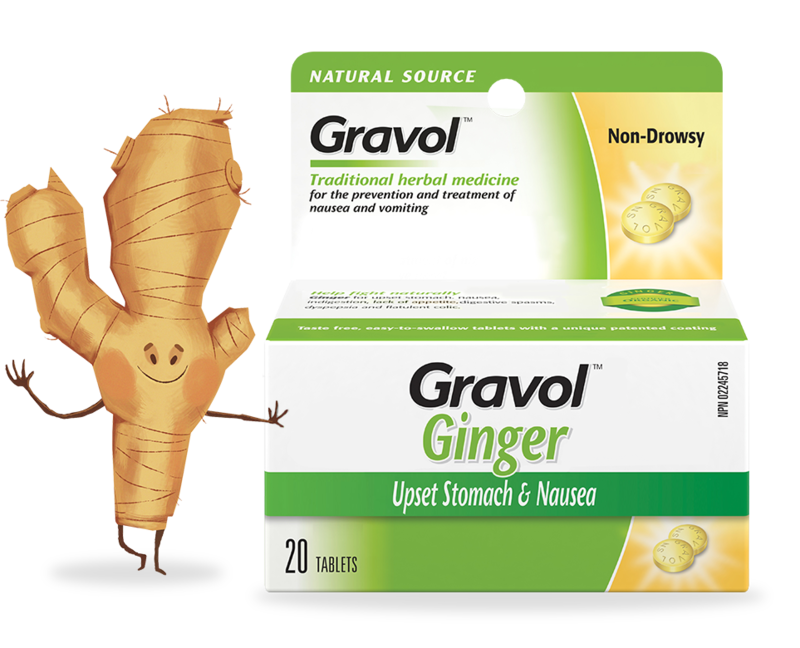 A dose of GRAVOLTM an hour or so before you travel can help prevent vomiting due to motion sickness. What are some ways to treat vomiting? Avoid eating solid food until you’re confident that the vomiting episode has passed. Slowly drink small amounts of clear liquids such as water, soda or non-acidic juice. 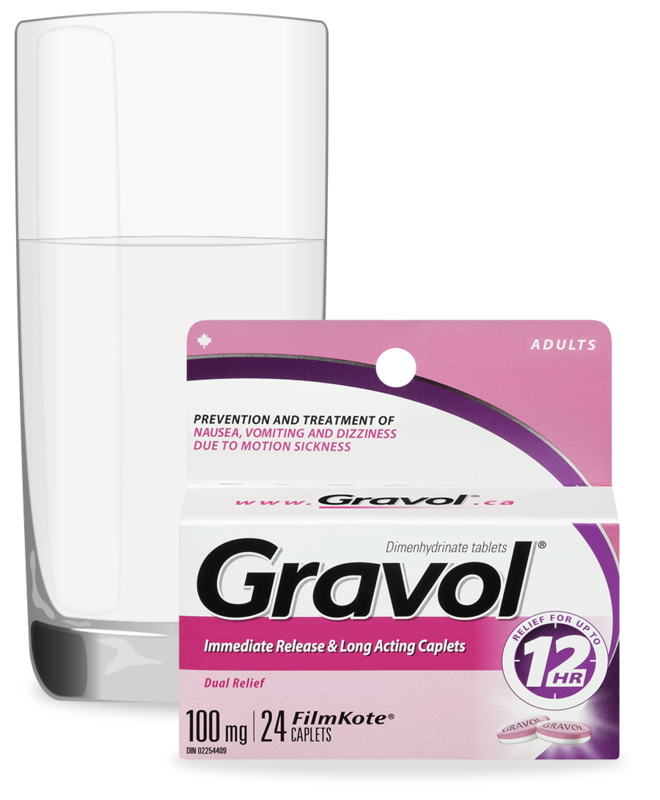 Take GRAVOLTM to help treat your vomiting due to motion sickness. Ensure they stay hydrated by giving them plenty of clear fluids. 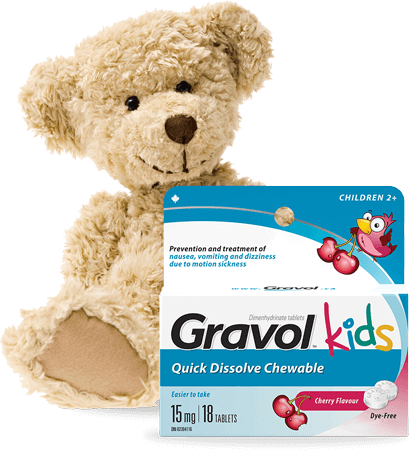 An easy-to-take dose of GRAVOLTM Kids can help with vomiting due to motion sickness. GRAVOLTM Kids Comfort Shaped Suppositories are a great solution if they’re having trouble keep liquids down. See a doctor if vomiting persists. Whether it’s a result of stress, travel or illness – having trouble getting a good night’s sleep is common. When your internal clock gets thrown off due to travel, it’s not just your sleep that’s affected. A variety of factors can cause dizziness, leaving you feeling woozy, lightheaded or unbalanced.